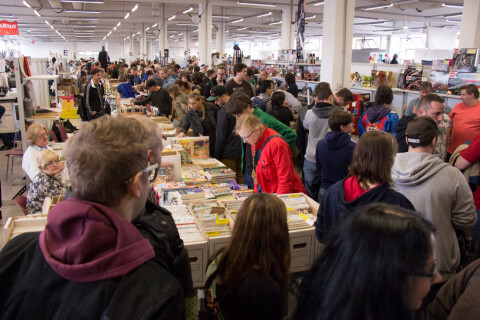 Here are some photos of the comic event “Vienna Comix” last weekend! Henrieke, me, Gerald, Luri, Lisa and Andy had a table again and Baseball showed up too! Since it was the 20th anniversary and also the ever-popular Star Wars special with people coming from as far as Germany, it was very busy again. When it finally calmed down a little, it was time for Baseball to get out and entertain people. Baseball encounters a Stormtrooper. Photo by Atkelar. 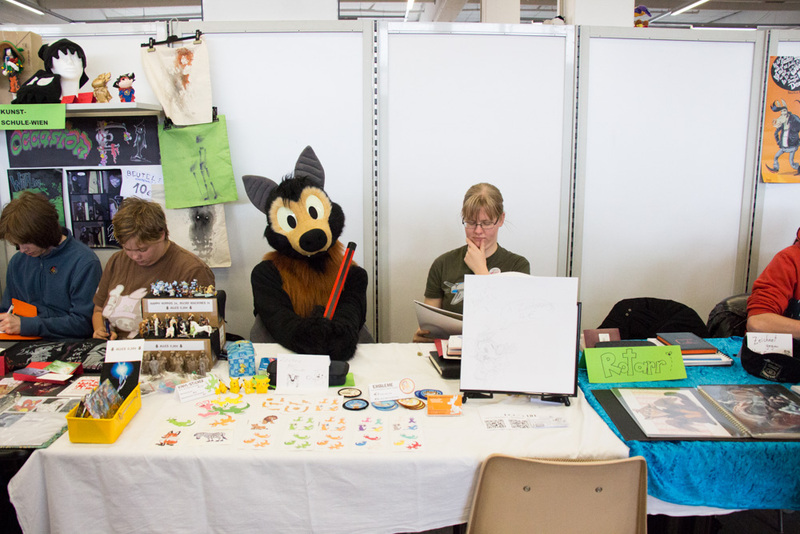 After fooling around a bit, Baseball went to the table and offered sketches to people which turned out to be quite popular! 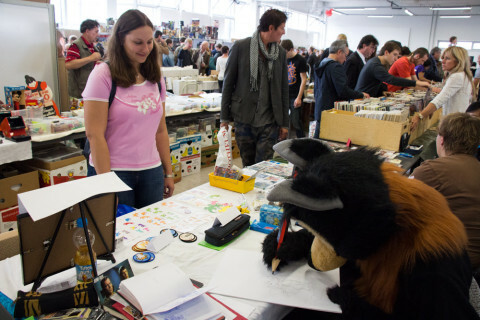 This kid got a drawing too! 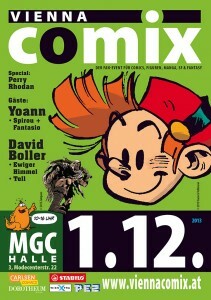 Also, don’t forget to visit the next Vienna Comix on 1st of December!